Huawei Honor is getting more famous these days, even it is from Huawei, a Chinese company. 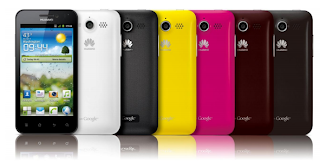 In addition to all these features, there is an option of updating the operating system to Ice Cream Sandwich (Android 4.0). 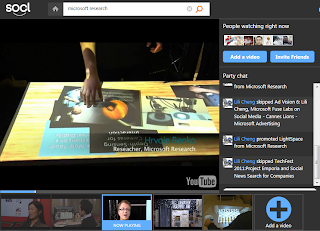 So.cl ("social") is a research project from Microsoft’s FUSE Labs. "So.cl combines social networking and search, to help people find and share interesting web pages in the way students do when they work together. 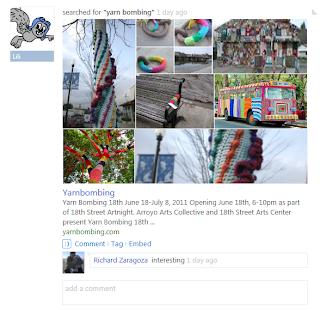 So.cl helps you create rich posts, by assembling montages of visual web content." says Microsoft. But So.cl is just similar to the Google Plus and Facebook which allows to rich media sharing just like the upload video option from Facebook and Google Plus, and real time sharing of videos via "video parties" Similar to the Hangout option from Google Plus. "We expect students to continue using products such as Facebook, Twitter, LinkedIn and other existing social networks, as well as Bing, Google and other search tools. We hope to encourage students to re imagine how our everyday communication and learning tools can be improved, by researching, learning and sharing in their everyday lives" Says Microsoft, indirectly they are targeting to Google Plus, Since they uses Facebook login and their search API's are different from Bing and Microsoft claims it as a different product and not related to Bing. This year Christmas celebration starts with the spam. After the attack of various spam attacked the entire internet world, it still remained in few cases like the Nigerian spam asking to pay for them to check out their huge cash, persons from abroad starting their new branch in their home town and lot more. This time the spam are offering a lot of gift products, gift coupons and lot more, this spam started increasing through the social media like Facebook. After the huge spam attack on Facebook, this new spam is started. Even Facebook fixed their previous spam, whether they will take any further steps to stop this kind of the spam? Even Google plus is trying to fight back against the spam, new techniques are still in progress. However the spammer also finds new strategy to attack the netizens. Are your ready for the christmas celebration with white snows? 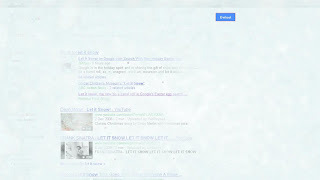 Get in to Google, to celebrate it, Just open the Google search and type Let it snow. Then your screen will be filled with the digital snow. It will make the entire screen to froze. You can't click on any of the results but dont get panic, the search icon will be changed to "Defrost" button, just a click to clear the icy veneer. Last month the searchers discoverd "Do a barrel roll" will lead to a role in the Google page. Similarly the let it snow is also working. The trick will not work in Internet Explorer 6, 7, or 8, nor in older versions of Firefox or Safari. This code will work only in updated browsers.